The Pagani Zonda Oliver Evolution was Commissioned For A Nine Year Old Boy. The car is an automotive masterpiece and could claim to be the best Pagani Zonda ever. The car was commissioned by one of the biggest Pagani cars collectors, who lives in Tokyo. Money talks like in all things in life. 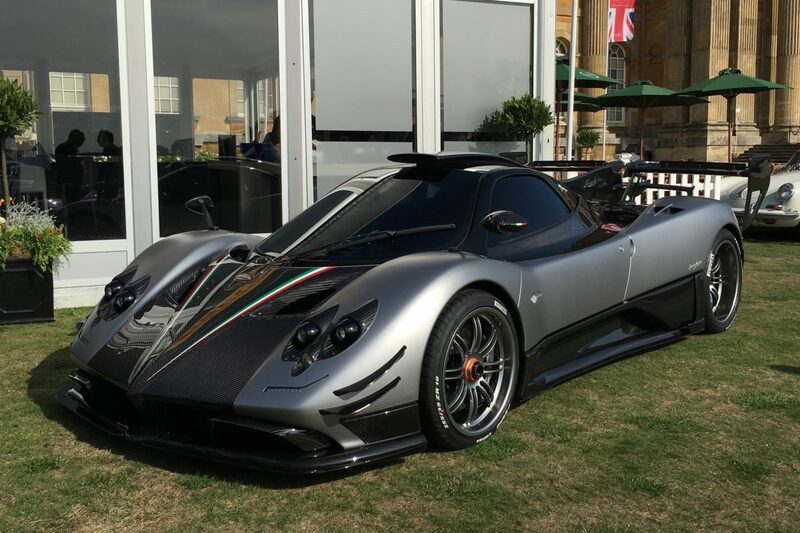 The Zonda finished its production run 2017, and in it’s later years was only producing one off cars. This one-off Pagani Zonda was the 760 edition of the Zonda made in 2016. The bespoke supercar is based on the 760 RS model and specially built for one of the big Pagani collectors. Unlike other special edition Zondas, this 760 has a uniquely designed rear spoiler and was engineered by one of the world GT champions to generate the maximum downforce to give the ultimate grip on the circuit. The car was tested by the Toyota factory driver and GT500 champion Akira Iida on Fuji Speedway during the Pagani Raduno in Japan this year. Mr Iida commented the Zonda Oliver Evolution is the best handling and closest to the Zonda Evolution R road car he has ever driven. We love the fact that Horacio Pagani listens to whims and wishes of his customers so, if one wants a bespoke made Zonda, a Zonda will be made. What is even more outrageous about this Zonda is the fact the car was commissioned for a nine-year-old boy. Probably named Oliver, as Pagani named the car Zonda Oliver Evolution. The car is the most track-focused Zonda ever according to a GT500 champion Akira Iida who tested the car at the Fuji Speedway. Apart from a one-off spoiler and the basis from the 760 RS, the Zonda Oliver Evolution makes do with the front air ducts from the Zonda LM and adds side winglets for even more downforce. As expected the engine at the back isn’t the latest Huayra six-liter unit. Pagani installed a well known 7.3-liter V12. Obviously, for the Zonda 760 Oliver Evolution, the car develops 760hp. It is fast and loud. It is maybe, even more, insane than the Huayra cars. The exterior is simply mind-blowing in gray and exposed carbon-fiber accents. Obviously, the car moves the boundaries of what we have thought is possible with the Zonda. Here’s a cool video we came across that shows off the Pagani Zonda Oliver Evolution in it’s full glory. Enjoy.